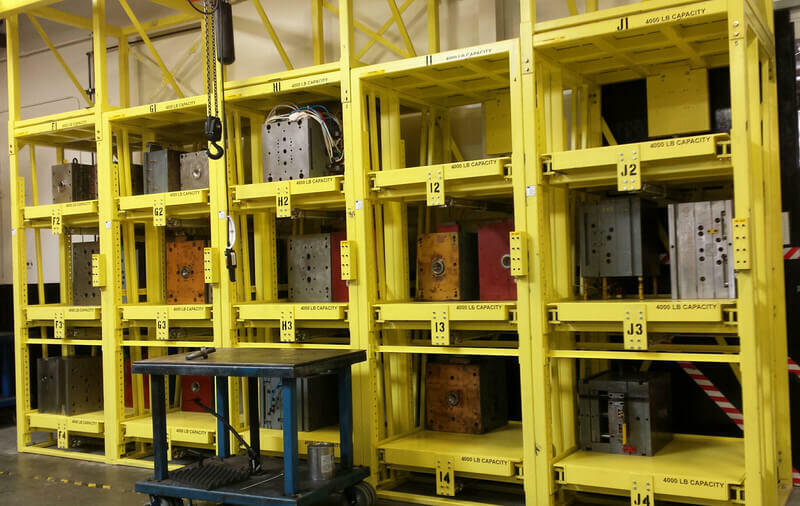 This series of roll-out shelving injection mold racks reduced floor space requirements by 70% and cut machine change-over-time in half. 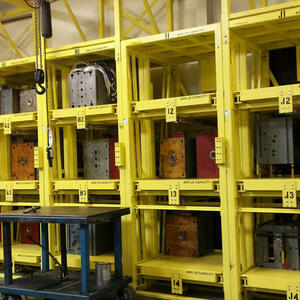 Use a single air source for all five racks, air system plumbed together. Built-in hoist included in the system.